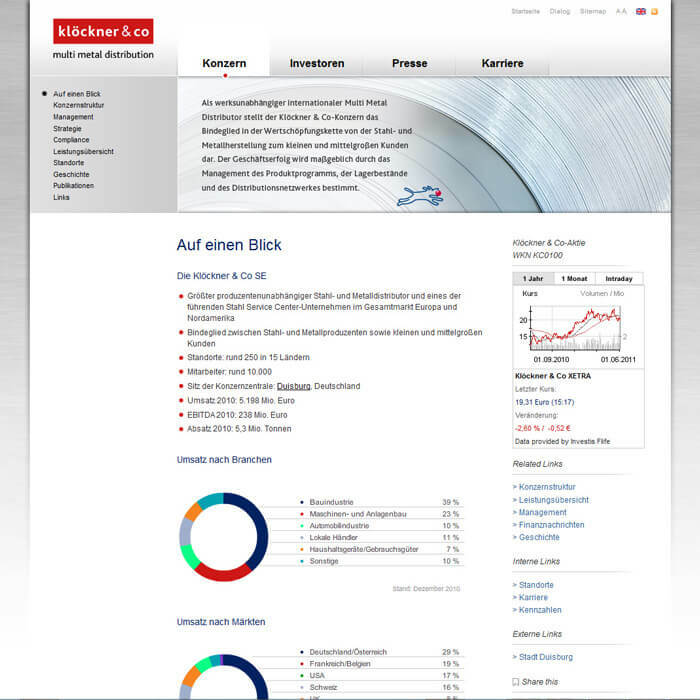 Klöckner & Co is one of the largest producer-independent distributors of steel and metal products and one of the leading steel service center companies worldwide. Based on its distribution and service network of around 200 locations in 14 countries, the Group supplies around 140,000 customers. As a pioneer of the digital transformation in the steel industry, Klöckner & Co’s target is to fully digitalize the supply and service chain.